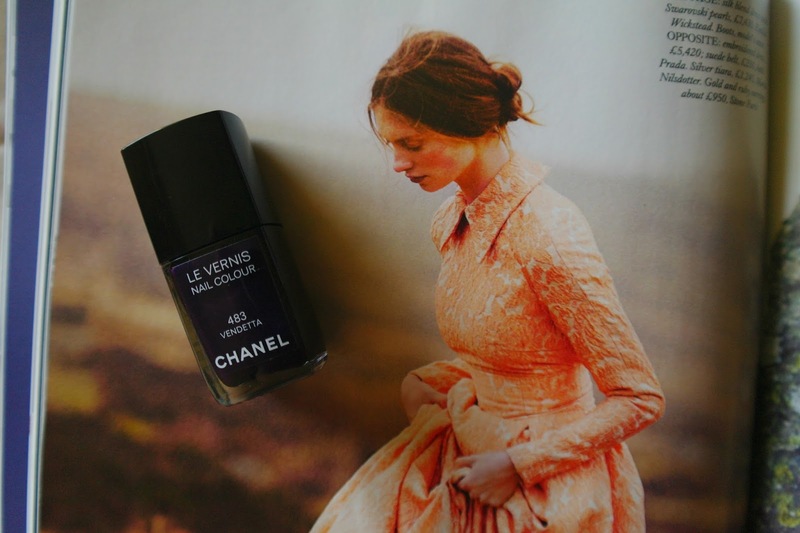 I can't believe I've never blogged about this nail polish. Along with a few pastels and nudes, it's my favourite nail polish colour. It's purple, almost black colour means that I only wear it in Autumn and Winter so I have to admit, it feels a bit strange to be wearing it mid August, but I couldn't resist any longer. This polish was a birthday present from a friend a few years ago and I've used it so much it's not far away from running out. *cries* It's the only high-end nail polish I own so I'll probably still keep it once it's all gone, just because the packaging is so pretty and I'm a sucker for it. I like a really opaque colour on my nails and for that you would definitely need two coats, but its finish is really glossy and in theory, you could get away without a top coat, if only it were more chip resistant! Having said that, I couldn't say a bad word about this nail polish (even though I have £4 polishes which are more chip resistant). 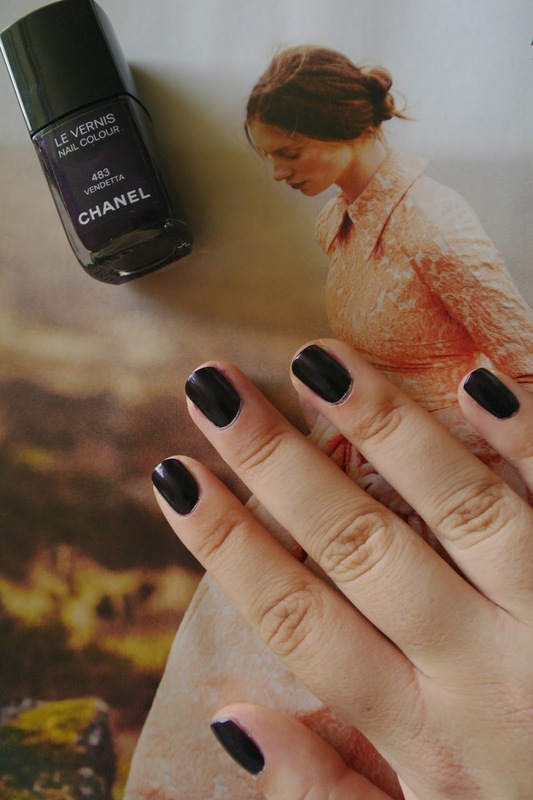 One of my favourite chanel polishes! They do have amazing shades, but I find it difficult to accept that the formula is so rubbish - from Chanel and they don't seem to improve it throughout the collections either... really? I totally agree with you! I would probably never spend this much on a nail polish and I wouldn't repurchase it (because of the formula), but it was a nice birthday present! Gosh, this is such a beautiful color! Perhaps you could find a dupe at the pharmacy?